Whether you’re saving for a family vacation or you want to buy your first house or you just want to increase your savings, you’re not alone. It’s more important than ever to have a financial plan in place. For some that may include turning their hobbies into cash. This can be easily done with the right resources and can be a lot of fun; no matter if you're wanting just a little extra cash or if you want to turn it into a full-time business. 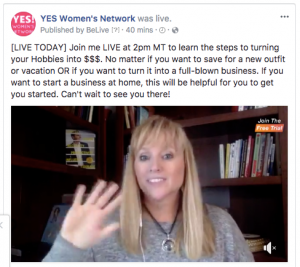 FB LIVE: Turn Hobbies into Cash - Here's the HOW TO! Come see me speak about this at Joyful Living Conference in Richfield UT on Feb 17th! Use code "richfield" to save 50% off your tickets. More and more people are becoming entrepreneurs, especially in Utah. Utah is listed in the number one spot on CNBC’s America’s Top States for Business and the U.S. Chamber of Commerce has Utah listed #1 for innovation and entrepreneurship and #2 in high-tech performance in 2017. With the economy like it is many people are spending less and becoming penny pinchers due to lack of income. We are finding that we aren’t able to have as much fun as we wanted five years ago. There are a lot of very talented women who could turn their skills and/or hobbies into cash or into a real business. It’s not as hard as you think and there are loads of amazing free resources to help when you're ready. I quit my day job in 2011 when I found the need to be home with my children due to their health. Now 7 years later I have been providing services for and mentoring and training hundreds of women all around the world on how to start, build and grow their own businesses from home. Many have started virtual assistant businesses, health. life, or fitness coaching businesses, and other businesses as well including small online shops. The Internet is full of amazing people who are ready and willing to help. However, there are some that just can’t be trusted. More than half of my clients over the last 7 years have told me horror stories of being ripped off my online providers. I myself have been taken advantage of a few times when I didn't do my research. That’s why I want to help be a resource for women who want to find the right people to work with so I started YES! Women’s Network. Aren't sure where to start? Join YES! 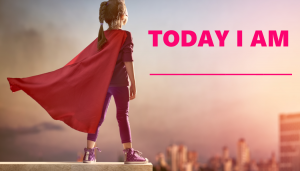 Women's Network today for help getting started by meeting women who are already doing what you want to do. 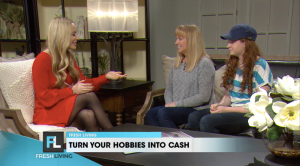 There are a lot of ways you can turn hobbies and skills into cash; and it’s lots easier with trusted resources, free or low-cost training, and inspired connections. The good news is... you're in the right place! So many women are blessed with the gift of craftiness. Homemade creations are highly sought after personalized gifts. If you are crafty you could turn this into a surefire way to make money selling your goods. Homemade and vintage items are where many shoppers are turning for original creations. Especially if you are already selling your creations at local festivals and farmers' markets. How many times I find items that I want to be able to buy more of and when I ask the owner if they are online and they say no. This surprises me! If you are crafty be sure to consider not only offline sales but online sales as well. Before you know it, your homemade creations, whatever they may be, could be the latest Internet craze. Do you like shopping? I’m not a fan of shopping and I avoid it at all costs, but my daughters love to shop. Becoming a personal shopper could save you money and make you money at the same time. There are so many busy men and women who would prefer to hire out their shopping. If you’re a great shopper you could help your clients with everything from making travel arrangements, finding hotels, buying personalized gifts, or even doing personal shopping like for groceries and household items. Personal shoppers could help their clients find clothing, pick up medicines from the pharmacy, or even just running errands. Personal shoppers could charge anywhere from $15 - $20 an hour or 10 to 15% of the total purchase according to paysale.com. Just be sure you don’t shop for yourself while you’re shopping for your client or it would defeat the purpose. Baking is a talent that so many busy men and women are envious of. Who doesn’t love a homemade fresh cookie or loaf of bread? Many entrepreneur friends of mine have said that having a personal chef is at the top of their bucket list. If you have this skill you may want to take advantage of it and share your talents with others while making some cash. I see on Facebook several times a week one of my friends selling her cinnamon rolls. She posts that she is going to make x number of pans, how much she wants for them, when they will be ready, and they sell out every week! The majority of people who don’t have time to bake are willing to pay for it, especially if they can pay online and pick it up on their way home. This could turn into catering small events like baby showers, weddings, family reunions, small office parties, or other gatherings. As long as you're selling baked goods that don't spoil (like cream pies, etc.) you don't need a license to sell at most farmers' markets, although some do require you meet their standards and guidelines to be accepted [source: mt.gov]. If you stick to one or two items and do them well -- bread and muffins, for example -- invest in a creative logo and packaging, and set up a plate of samples, your products should sell themselves. Do you love pets and just can’t get enough? Why not try doing dog walking and pet care? Instead of spending money to get your own why not have the freedom to care for other people’s pets? Most dog walkers charge between $10 and $18 per walk depending o the location and the number of dogs. Overnight dog sitting can be billed for even more according to Christine Rochelle in her article for aol.com. It’s best to start your business with people who know and trust you. It’s a big responsibility to take care of someone’s pets. Once you have established a small list of clients you could ask them to recommend you to their friends and coworkers. “I would pay someone to just come in here clean up and get me organized!” I’ve heard this many times from entrepreneurs who work 10-15-20 hours a day. Many of us spend our days sitting in front of a computer and simply don’t have time to clean out the garage, deep clean our kitchen, or take care of our yards. If this is something you enjoy doing, I can practically guarantee you that you can do this and make some pretty good money. I actually know several organizers personally who are doing pretty well. They are hired to take care of hopelessly unorganized people for a fee. The organizers I know will to and either helps their clients or actually do the work for them. Everything from cleaning out a disorganized closet to shopping and stocking their homes with things like linens, toiletries, and everyday items. Especially around the holidays when they also help with the putting up and taking down of decorations. This is how I first got started as a real estate virtual assistant! When I first needed to work from home I wanted to take the skills I had from the Corporate world to start my business. I loved working with real estate agents helping with their paperwork and I knew I could do it from anywhere as long as I had a phone and the internet. From there I grew my skills into being a speaker, digital marketer, coach, mentor, and creating this network. Now, my daughter does editing for many of my clients and I help with building online businesses. If you think about it, anything an administrative assistant does now can be done from anywhere except putting a piece of paper in a folder. An most offices are digital and filing in person isn’t needed. So, if you like writing there are businesses looking for you to help with their blogging. There are businesses looking for help with editing, marketing, data entry, editing websites, research, help with social media, graphic design, and many other administrative skills. There is a virtual assistant academy on YES! Women’s Network that will teach you what you need to know and other resources to get you started as well. Here are a few hobbies turned cash of clients and friends of mine. They are all having a lot of fun. Some are making more money and have turned into a real business than others, but all are making money from home which is super cool! Decide what you like to do and what you want to do then join YES! Women’s Network and let’s find a way you can turn that into cash! Be sure to join our community and share your ideas with us so we can all pitch in and help you get started today.